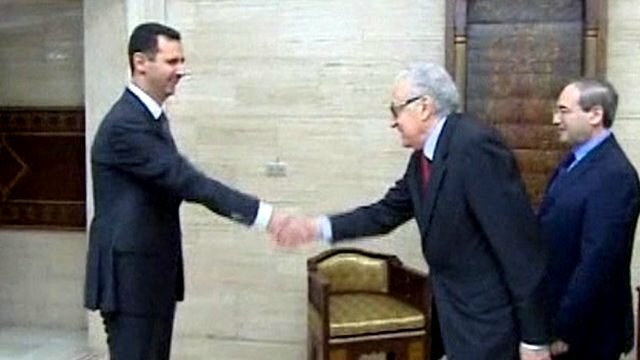 Syria troops retake Homs district Jump to media player Opposition activists claim that Syrian government forces have summarily executed 220 people, including women and children. 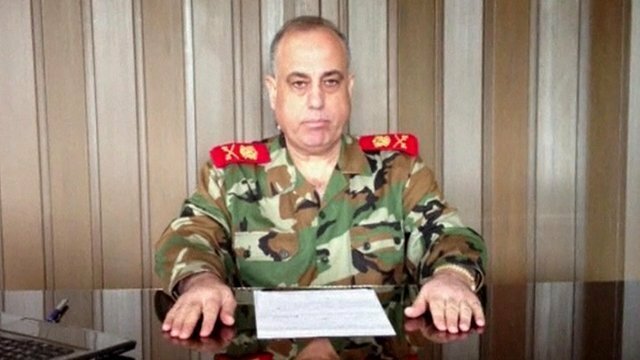 Syrian chief announces defection Jump to media player The commander of Syria's military police has defected from President Bashar-al Assad's government and reportedly fled to Turkey. 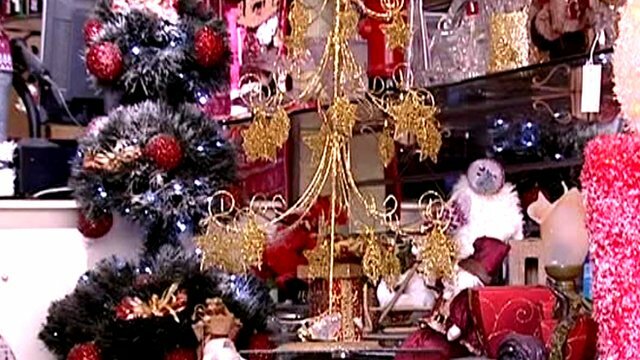 Subdued Christmas for Syria's Christians Jump to media player In the Syrian capital Damascus, the Christian community is planning a low-key Christmas, as conflict in the country continues. 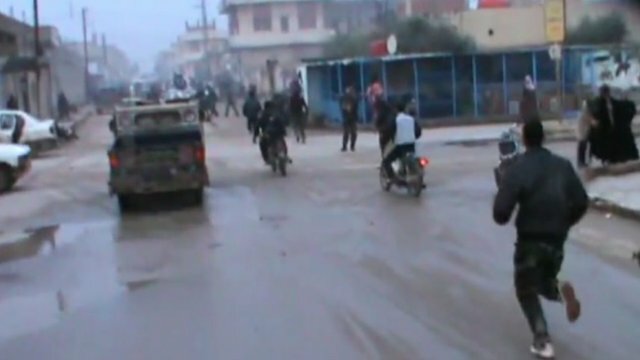 'Deadly strike' on bakery in Syria Jump to media player The BBC's Jim Muir reports after dozens of people were reportedly killed or wounded in a government air strike on a bakery in the central Syrian province of Hama. Syrian government forces have pushed rebel forces out of the Deir Baalbeh district of the city of Homs after several days of fierce fighting. One activist group said that more than 200 civilians were killed by regime forces after the fighting, but the claim cannot be independently verified. The death toll across Syria on Saturday was reported to be as high as 400. 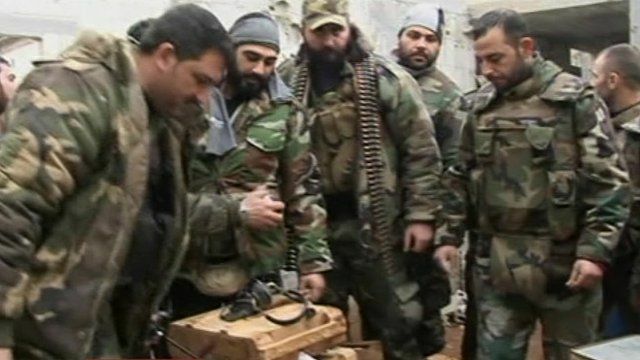 The strategically important city of Homs has seen much of the heaviest fighting in Syria's 21-month conflict.